The library of Ministry for Foreign Affairs of Finland is located by the sea in Katajanokka, Helsinki, Finland. The specialised library possesses an extensive range of resources, covering, for example, foreign, security and development policy, diplomacy, international law and human rights, economics and globalisation, and the environment. 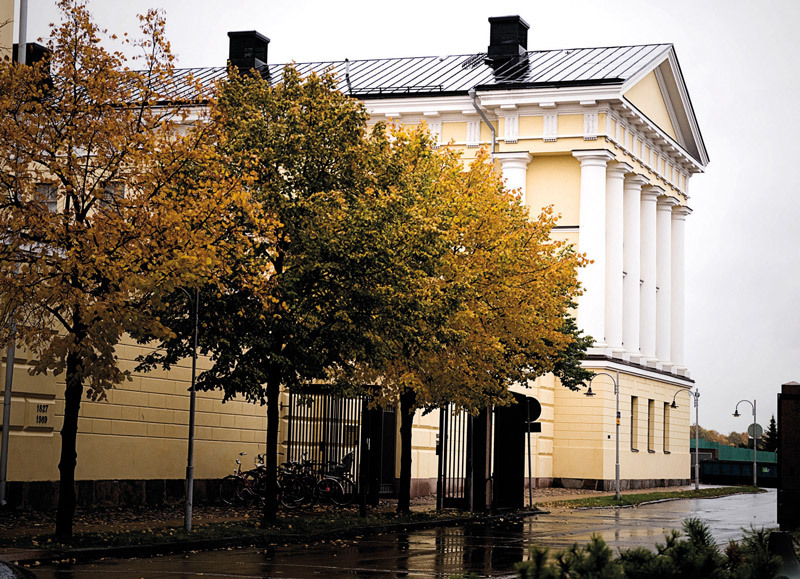 The library has been a customer of LM Information Delivery since 2006.
we serve nearly two thousand customers, including the staff of Finland’s diplomatic missions. To support their work, public servants need lots of information. Periodicals in different fields and other publications are popular sources of external information,” says Librarian Jaana Puumalainen, describing the everyday work of the specialist library. The library, which attends to the information needs of the Ministry for Foreign Affairs, only has a staff of four, so great attention is paid to resources management. The library has acquired LM Information Delivery’s subscriptions management service, which includes the online tool, LibNet. Puumalainen is satisfied with the fact that, since cooperation started, it has been possible to handle all issues with the same contact personnel and LM Information Delivery staff are always aware matters relating to their account. The Ministry for Foreign Affairs has dozens of units and previously the list of periodicals ordered for one unit had to be compiled manually. Using LibNet, the library can output unit-specific reports in either PDF or Excel format. According to Puumalainen, LibNet is important for the Ministry for Foreign Affairs because information can be stored in one place, enabling library employees to maintain up-to-date publication registers. to see whether a certain publication had already been pub- lished or whether it was necessary to make a claim. With LibNet, if a publication has failed to arrive, the library can firstly check the schedule and if necessary, make the claim in a few clicks via LibNet. In 2010, the Ministry for Foreign Affairs’ publication subscrip- tions were renewed for the first time via LibNet. There were many subscription renewals, but the renewal process went smoothly, especially after receiving training and guidance from LM’s experts. When subscriptions are re- newed via LibNet, delays caused by manual work simply do not arise and subscriptions are activated automatically. This ensures that subscriptions continue without interruption the following year.